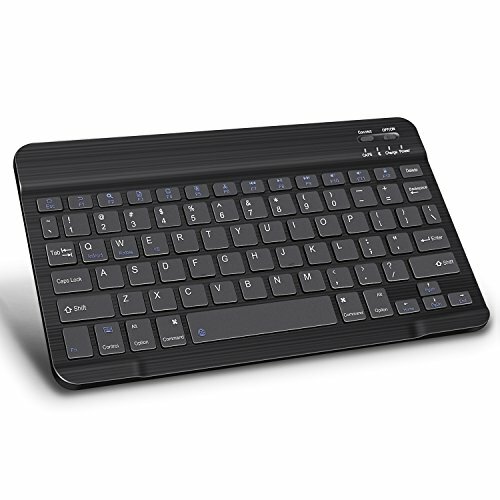 Easy installation , Ultra-thin & Multimedia keyboard No Driver Required, just plug it in and go. PCs or Laptops with Windows XP / Vista / 7 / 8, Not Compatible with Windows 10. 【PORTABLE KEYBOARD】:Ultra-Slim Wireless Keyboard,Compact size (7.87x 4.92 x 0.19 inch),allows easily carried and packed backpack, messager bag or case,best choice for travelling. 【PACKAGE AND WARRANTY】:Package include : 1 x Wireless Keyboard,1 x USB charging cable,1x User Manual ;Customer Service Ready to Respond Within a 24-hour Time Frame.One-year warranty, replacement within half year. If you have any questions about this product by Tsmine, contact us by completing and submitting the form below. If you are looking for a specif part number, please include it with your message.